Spring weather is slow to arrive this year. We woke up to delicate snow flurries this morning. But despite winter’s lingering grasp, the signs of spring are all around: the greening of the grass, the birds belting out their sincerity, bulbs pushing up out of the ground and blooming defiantly. And another perennial visitor–spring restlessness. Other times, I’ve felt like getting in the car and driving until I run out of road–and once, I did. Or buying plane tickets to surprise my husband (he hates surprises and he hates planes). You get the idea. Luckily, even though the restlessness catches me off guard every year by how right it feels, I recognize it. Now I can defuse it before I sell all our possessions, put the house up for rent and live out of a Volkswagen van. Or buy a rescue ranch in the southwest–pygmy donkeys only, please. You know. Spring fever stuff. As writers and artists, we’re fortunate to have the outlet to live in those alternate realities, though! That restaurant, the one I had all planned out? I wrote a story about it. Last year, when I was thirsting for the southwest, I read novels set in New Mexico. Then we took a detour to New Mexico, and I documented and wrote about it. Artists and musicians can make similar forays into what-ifs. What if you moved to the city/country/desert/Alaskan frontier? If you sold everything except what you could fit in the trunk of your car, what would you keep? What if you were summoned to the island of Malta by a distant relative–a real one, not a cyber-scammer? If you had to start over, what would you do differently? What would you fight to regain? In reality, it may be wildly reckless and ultimately destructive for me to buy a crumbling restaurant overlooking the Ohio River. (In fact, the sellers couldn’t get *anyone* to buy it, and eventually demolished it. Sad. But I’m off the hook!) But creatively, I can clutch that idea and run with it as far as I want. And neither Dave Ramsey’s financial advice nor Dan Miller’s career counseling can stop me. NOW YOU:Where would you go, and what would you do if you knew you could control the outcome? How can you parallel those dreams in your work? Want to remember these ideas? Click to pin the article to your favorite board! **This post contains affiliate links, which means if you use a link to buy a product, I get a small referral fee with no additional cost for you. I only recommend products I use, love, and know will bring value to my readers. These fees help pay for the blog. 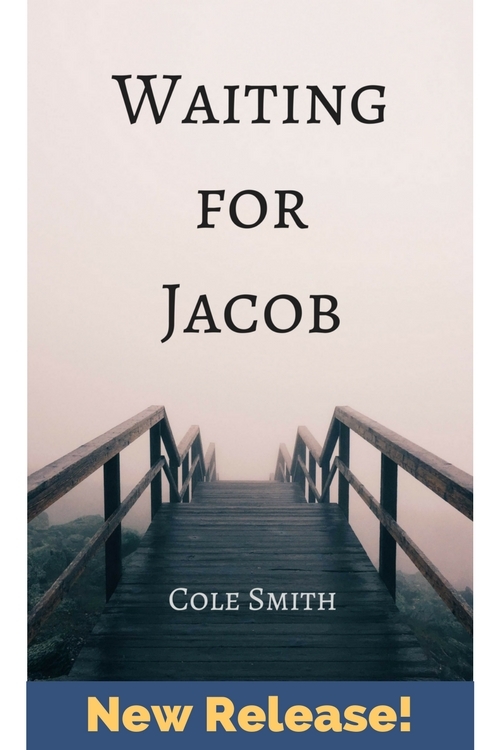 Thanks for supporting Cole Smith Writes! I love what ifs for stories and inspiration, and these are wonderful! Great job. Wow, thank you! Aren’t they fun? When the weather ever turns here (if! ), I’d like to sit outside with a notebook one afternoon and just write down as many what ifs as I can! My spring restlessness manifests with dreams of the garden and also, travel. With regards to gardening, I’m not one to start seeds inside so I’m a little impatient right now for the ground to warm. With regards to travel, I had no idea until last week where we might go on our “big trip” for the year. And then one of my husband’s friends invited us to his son’s wedding. In Israel. Sketch me super excited!